Bounce Houses from $99 OVERNIGHT!! Will you be watching the game or watching the kids this Sunday? Chances are pretty good that you'll either be hosting or attending a Super Bowl Party this weekend whether you're a football fan or not. So now the question... How will you keep the kids entertained while you and the other grown ups are watching the game, the commercials or just the half-time show? We'll deliver your Bounce House before kick-off. That will give the kids a place to play, jump and burn off their energy outside and away from the serious business of the Big Game. Keep it over night for free. So if you've only considered a Bounce House as appropriate for a birthday party; start thinking outside the box. Think of it as your inflatable babysitter! Whether you're hosting the party or dragging your kids to someone's house; we can help. And we promise, you'll be way more popular than the guy who brought the bean dip! You don't have to be a diehard Ram's fan or a lifelong Patriot's fanatic, it doesn't matter if you're from Cali or Boston, heck you don't even have be much of a football fan. If you're like the majority of us in Arizona, you'll either be hosting or attending a Super Bowl Party this Sunday. We can help make it a great experience! Let's face it, a Super Bowl Party is usually a lot more fun for the grownups. Once a year we gather our friends and family, piles of chips, dips and assorted beverages and pick sides. Serious fans hang on every play yet others could care less. Many are more excited about the commercials or the half time show. Some kids really get into it too but can be easily bored especially in the hours of pre-game hoopla. Let them have their own party, in their own space (outside) with one of our themed bouncers, combos or giant slides. Giving them something to do will keep them busy so you and your guests can enjoy the game... or the commercials! Reserve your favorite Bounce for Super Bowl Sunday, add a novelty food machine (like cotton candy, pop corn or snow cone) and keep it all day or overnight for $129.00 (with purchase of supplies). If you book online tell us in the comments you want this package and we'll adjust the rates. Delivery and food supplies are extra. *Supply is limited. Subject to availability. Package based on Standard size bounce. Larger sizes and combos available for extra charge. No additional delivery charges apply when food machine added to bounce. Food supplies sold for additional cost. For more information or reservations, please call us at 602-820-8030 or email us at acjoyinfo@gmail.com. That's right! Rent a bounce for Super Bowl Sunday and keep it over night for as low as $99 (plus delivery). Our bounces are booking up fast. 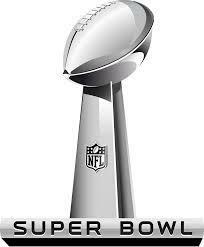 Super Bowl Sunday is always a busy day so call 602-820-8030 to reserve or book online now! Supply is limited. Subject to availability. Standard size bounce. Larger sizes and combos available for extra charge. Enter "Win Big" on the subject line.